Since about 4 million years, human evolution has been a long, long process. From early hominids to modern humans, we are in the process of evolving at this very moment. Mammals existed during the era of dinosaurs. But they kept a low profile and remained small and fury like a hamster. After the extinction of the dinosaurs, this marked the Age of Mammals. Because dinosaurs went extinct, mammals emerged as the largest land animals at this time. Hominids were the early proto-humans. They were known for sharpening objects with silicon rocks. They began to master the use of their hands and fingers. 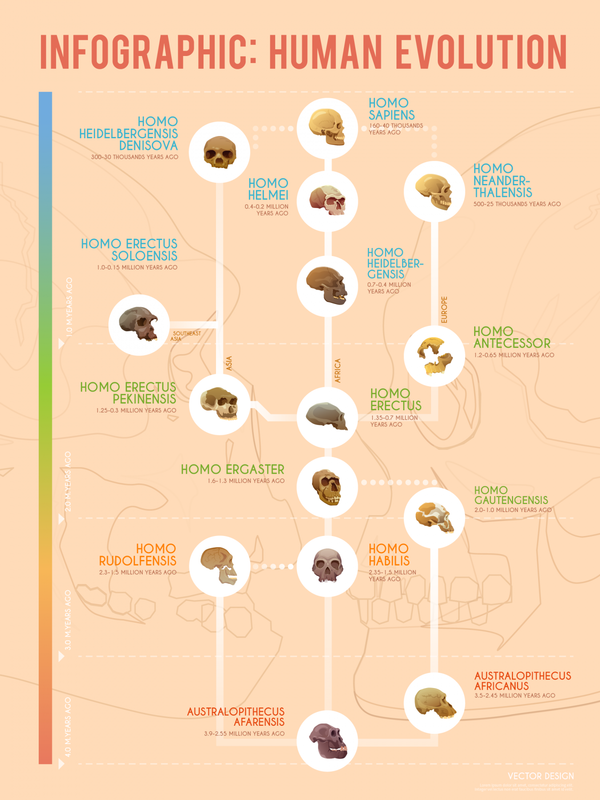 Let’s explore these early hominids (proto-humans), each species and where they evolved geographically. About 3.9 – 2.55 million years ago, Australopithecus Afarensis were the earliest forms of hominids. 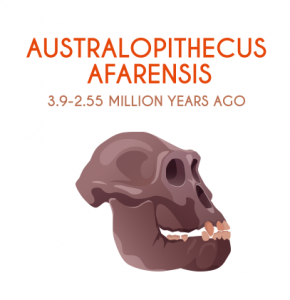 Archaeologists dug up fossils in the Afar Triangle of Africa, hence the name “Afarensis”. Because of the importance of this discovery, it’s nicknamed “Lucy”. Australopithecus Afarensis was about 3 feet tall. It walked on two legs (biped) and had its hands free to defend from predators. 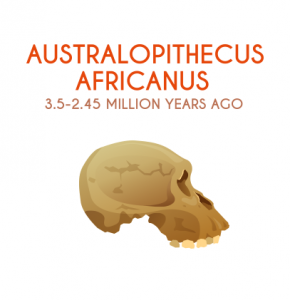 Australopithecus Africanus are the first of early ape species classified as hominids. They existed for about 3.5 – 2.45 million years ago found only in South Africa. Australopithecus Africanus were known for their slender build. They were bipeds with curved fingers for tree climbing. They had slightly longer arms than legs. 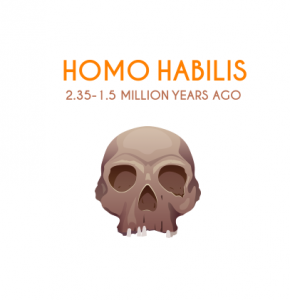 Homo Habilis was nicknamed “handyman” because of their ability to carve tools. They used rocks to cut and animal bones to dig into the soil. About 2.35 – 1.5 million years ago, they had larger brains which helped their survival. They stood at 4 feet tall and walked on 2 feet. 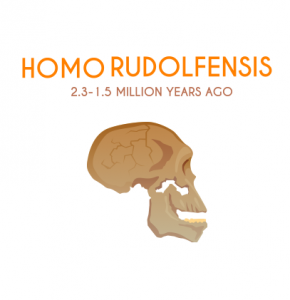 Homo Rudolfensis lived from 2.3 – 1.5 million years ago. This species was found in Lake Rudolf in Kenya. There’s been controversy whether it’s a separate species from Homo Habilis. The main difference between the two is the larger brain case size from Homo Rudolfensis. 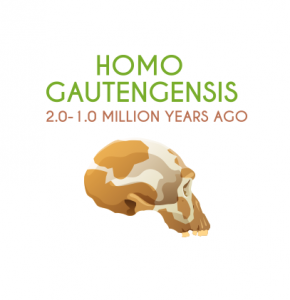 Homo Gautengensis had big teeth for chewing plants. They consumed more vegetables and likely had smaller brains. About 2.0 – 1.0 million years ago, this type of hominid was discovered in South Africa. They also may have used fire and stone tools. 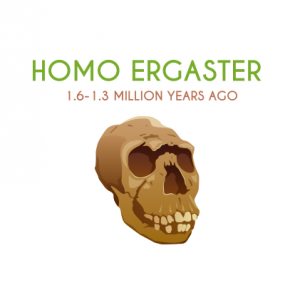 The nickname for Homo Ergaster is “Working man”. This is because they built more sophisticated stone tools. For example, archaeologists often discovered hand-axes and cleavers near skeletons found. About 1.6 – 1.3 million years ago, Homo Ergaster lived in South Africa. They became extinct only after a relatively short period of time. Homo Erectus “Upright man” stood about 5 and a half feet in height. They were good at waking and running, used fire and built shelters to protect from elements. 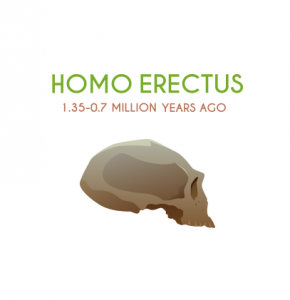 About 1.35 – 0.7 million years ago, Homo Erectus were found along southern coast of Asia. They were believed to have larger brains because they ate more meat. 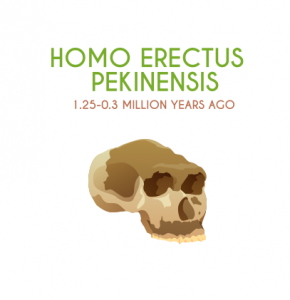 Homo Erectus Pekinesis existed 1.25 – 0.3 million years ago. They are known as “Peking Man” because these fossils were mostly found near Beijing (Peking). Archaeologists tend to find a large number of stone tools around Homo Erectus Pekinesis. These extinct homonids were known to have heavy browridges. Homo Antecessor are recognized as “Human Pioneer” due to belief they belonged to first human population in Europe. 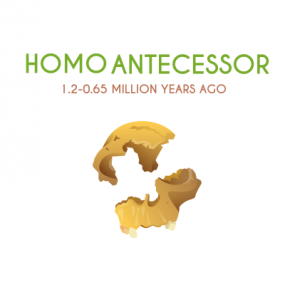 About 1.2 – 0.65 million years ago, Homo Antecessor were present in Western Europe. They had a combination of modern and primitive traits and may have practiced cannibalism. 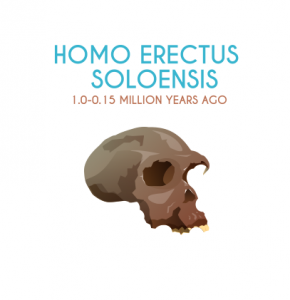 Homo Erectus Soloensis’ nickname is “Solo man”. They resemble “Java man” and “Peking man” but now are extinct. About 1.0 – 0.15 million years ago, this type of hominid was found in Indonesian on the Island of Java. 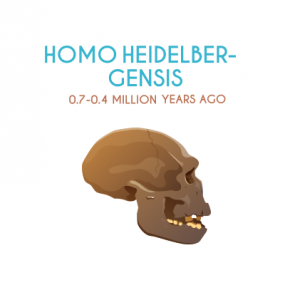 Archaeologists found fossils of Homo Heidelber-gensis near Heidelberg Germany. They are most notable for possibly burying their dead. About 0.7-0.4 million years ago, Homo Heidelber-gensis existed in both Africa and Europe. They were found to have craniums in the lower range of modern humans. Homo Helmei we first discovered in South Africa. They are known for their out of Africa movement. 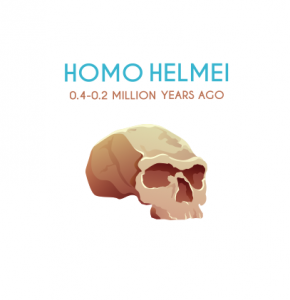 About 0.4 – 0.2 million years ago, Homo Helmei existed only for a short period of time. Their brain volume is slightly larger than modern humans. 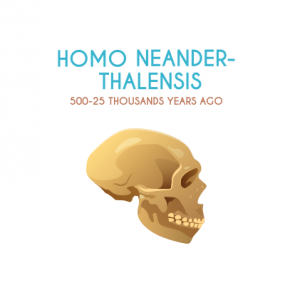 The short term for Homo Neander-thalensis is “Neanderthals”. They were first found in Germany but they also lived in Africa, Asia and Europe. For over 10,000 years, neanderthals lived with modern humans. Neanderthals existed 500-25 thousands years ago. They were short, strong and we skilled at making tools. They were good at working together because they surrounded animals when they hunted. Homo sapiens were known for artistic talents in cave paintings and clay work. They made hooks and spears to catch fish and invented the spear thrower. Thus, it made them better hunters because they could hunt from a distance. About 160-40 thousands years ago, the “doubly wise man” were the recent form of modern humans “homo sapiens sapiens”. Eventually, modern humans invented more complex language, practiced agriculture and built cities. 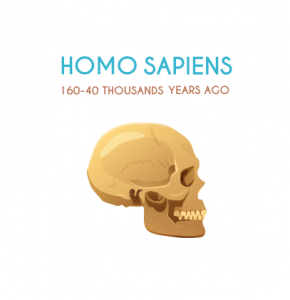 Since about 4 million years ago, humans have evolved from early hominids to modern humans. Here are 14 species examples from human evolution now extinct. Apes remained in trees for their primary food source. Eventually, grass began to spread in places like the African Savannah. Because there were fewer trees, this forced apes to walk to new food sources. With their heads above the grass to see predators, apes evolved by walking on two legs. It also helped to have their hands available when they were traveling. So here we are at this point in human evolution. Hi, love the chart you made. Wanted to share these with you as I didn’t see listed in case you were interested in including them. 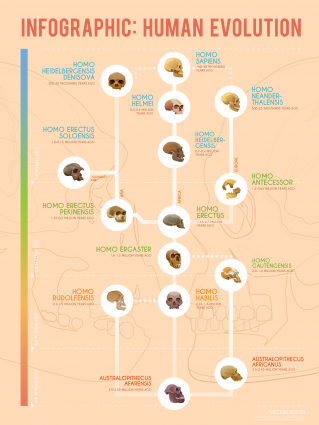 The Homo Naledi and the Home Floresiensis. Links with a bit more info are below.